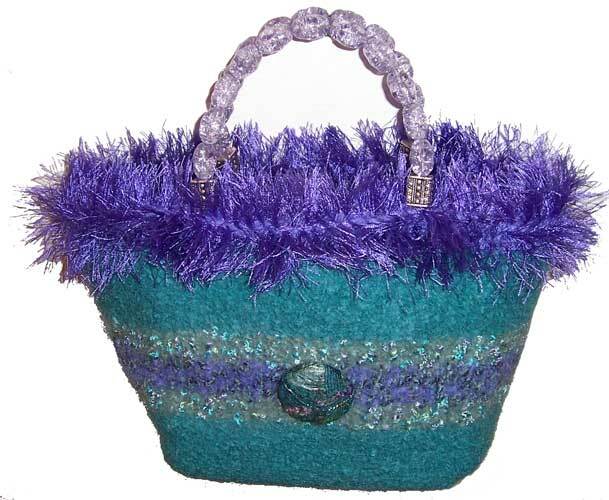 Beuatiful large handmade button with green and lavender is the inspiration for this bag. Pretty lavender crackle bead handle and lavender fur top it off. Approximate dimensions are 7 (h) 9 (w) 4 (d).